It is an old-time habit brought in by the Southern China sojourners and Cantonese migrants, an obscure culture intertwined with secret codes and silent etiquettes. It is a banquet of dainty bite-sized cuisine served in bamboo steamed baskets or tiny white porcelain plates, a celebration where sharing of food is the norm and tea pouring for others is a convention. A gesture of knuckles tapping conveys the most heartfelt appreciation, and leaving a teapot lid ajar is a polite request for tea refill. This is the Yum Cha custom, a Chinese heritage almost equivalent to the Spanish Tapas and Japanese Izakaya tradition. 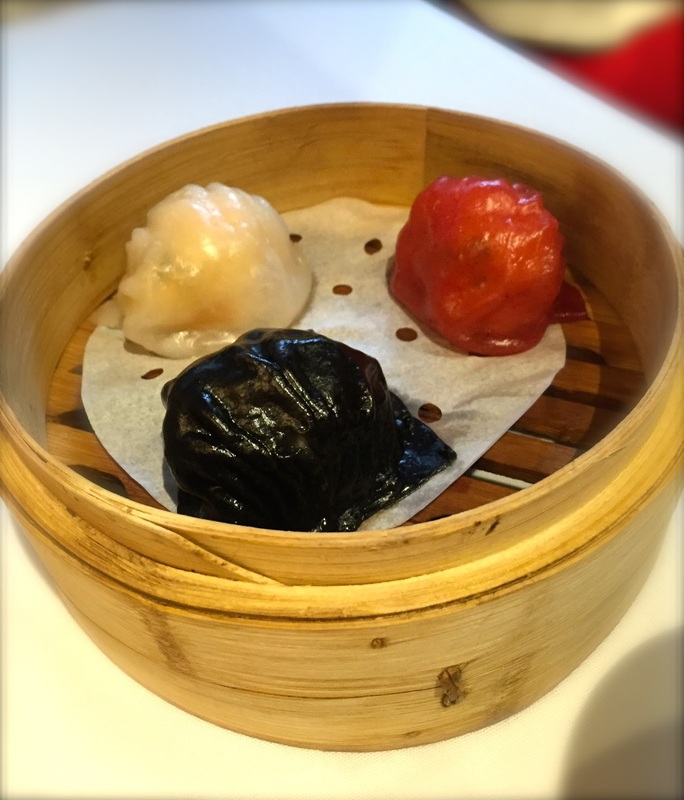 The city of Melbourne has no lack of interesting venues for such Dim Sum extravaganza. Most are simple restaurant establishments practising lightning quick service, where customers are ushered urgently to their seats and pre-cooked food is placed haphazardly on the table without giving the patrons a chance for breath. Waiters are usually rude and abrupt. Dish presentation varies, quality of food wavers like the unpredictable Melbourne’s weather. High customer turnover is the priority of each day. Bills are sent over in arrow speed, but no time could be spared for customer feedback. Just when we are about to get used to the complacent treatment, lukewarm service and the occasional mediocre food, Secret Kitchen arrives as a keen contestant and well-qualified rival. Within a few months since its commencement of business in the CBD, the swanky-looking double storey restaurant has evolved from an unknown newbie to a well-known eatery jam- packed with patrons. Reputation spread and popularity gained, yet the service remains attentive, albeit with an added touch of rough efficiency common to most Chinese restaurants. The Dim Sum at Secret Kitchen is a harmonious rendezvous of traditional craft and modern twists. 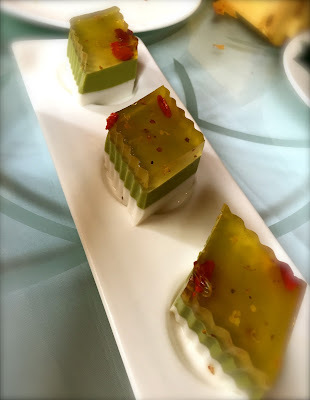 Its shrimp dumplings are an art piece of translucent crystal, mysterious darkness and striking red; its Dja Leung is an atypical creation of gold (fried crullers) and green (Chinese vegetables) snuggled within the sexily slippery Cheong Fan. Deep-fried glutinous rice dumplings were delicately served in pearl white, curved-handle duck spoons; crispy spring rolls were elegantly placed in contemporary glass vase like two seductive Cuban cigars. 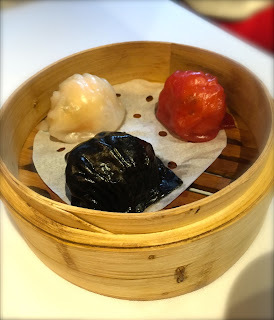 The usual pan-fried turnip cakes, steamed glutinous rice in lotus leaf, and braised phoenix claws were served alongside the unusual squid ink steamed buns and cute red-bean paste piglet Bao. My personal favourites are durian puff and green tea osmanthus cake. Both are awesome desserts with smart blend of distinctive flavours, a perfect pair of pungent creaminess and bittersweet fragrance. The Hong Kong style egg tarts and runny custard bun are authentically spot-on and definitely well recommended. At a time when myriad of Dim Sum places are mushrooming around the town and when customers’ loyalty is constantly being taken granted for, dining at Secret Kitchen is a rare refreshing experience. Price wise, it is slightly above average on the spectrum (most dishes are priced at $8.80 or above). Yet taking into consideration of the food quality and the warm atmosphere, Secret Kitchen is a true winner by virtue of comparison, at least for now.